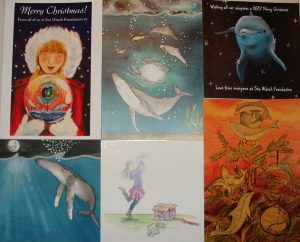 Adopt a Dolphin are delighted to be launching our first EVER Christmas cards. 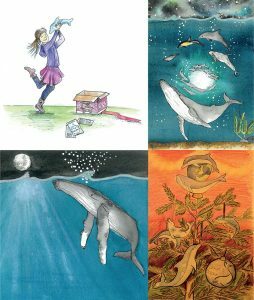 Each card has been lovingly created by artists who support Sea Watch Foundation. We are thrilled with the way they look; the colours, painting effects, and designs. Open them up, and each one has a different Christmas message. Two of our cards are very special, as they even say Happy Christmas from all of us here at SWF!! Available in packs of 4 or 6. Dispatched next day. Click below to buy yours…We promise you won’t be disappointed! SWF would like to thank Diverze Print for their generosity. Printing these cards was their gift to us this Christmas. Thank you! For ALL your printing needs, we wouldn’t hesitate to recommend them. The Vaquita – will it be too late? It’s all in the snot!